Commander and Chief- Werner Binkowsky Sr.
Werner started Professional htg. & clg. In 1975 with 1 goal in mind, that’s to supply the absolute best service to our customers and do whatever it takes to make them happy! 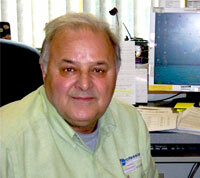 Service Manager- Werner Binkowsky Jr.
Werner Jr. started with PH&C in 1987. He is NATE and EPA certified as well as Geothermal and Solar certified. He has his Heating, Cooling and Boiler license from the City of Sheboygan. He has attended tech. schools for all brands of heating and cooling equipment. 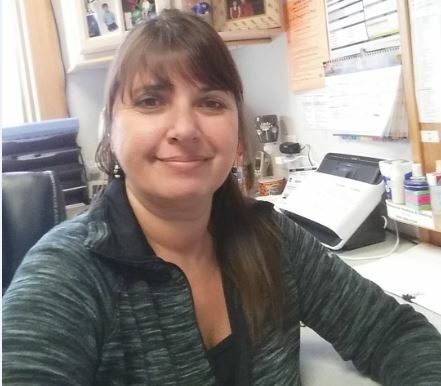 Christine started with PH&C in 1987. She takes care of all our customer needs in the office. TJ started with PH&C in 2004. TJ started in the field in 1999. 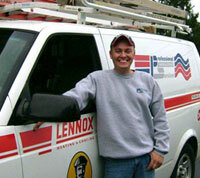 He attended Moraine Park Technical College to earn his 2 year degree in HVAC. He is NATE and EPA certified and PH&C qualified. 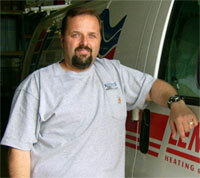 Werner Binkowsky established Professional Heating & Cooling Inc. in 1975. The company became an independent Lennox Dealer in 1993 when Professional Heating & Cooling purchased Al's Heating Sales, who had been a Lennox Dealer since 1956. Our goal is to exceed our customers' expectations for comfortable and trouble free equipment, which will operate efficiently for many years, at a reasonable price. We make customer satisfaction our primary goal. We have always provided 24-hour emergency service to homeowners and commercial customers throughout Sheboygan County and surrounding areas. We are confident you will be satisfied with the service you receive when you call Professional Heating & Cooling Inc. Come visit our showroom! Our goal is to exceed our customers' expectations for comfortable and trouble free equipment, which will operate efficiently for many years, at a reasonable price. We make customer satisfaction our primary goal. We have always provided 24-hour emergency service to homeowners and commercial customers throughout Sheboygan County and surrounding areas. 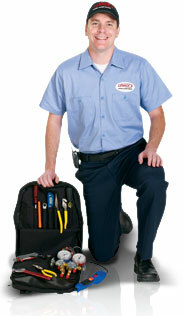 We are confident you will be satisfied with the service you receive when you call Professional Heating & Cooling Inc.